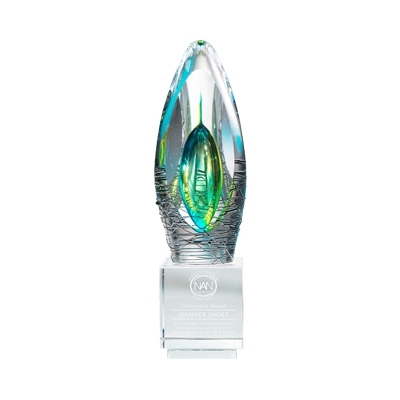 This striking art glass award features a brilliant turquoise and green center, accented by a black linear design. This glass award can be sand etched with your custom text and logo at the base. Each piece individually gift boxed. This award is not available for pickup. Item will ship directly to you.